Transparent Cover for your Clothes Rail Covers also for 4ft, 5ft and 6ft Rails. 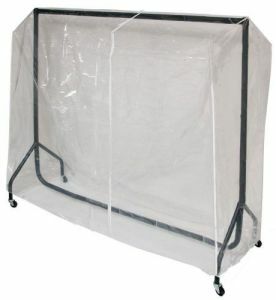 Clothes-Rail Cover for 3ft Rail to keep dust off the shoulders of clothes. 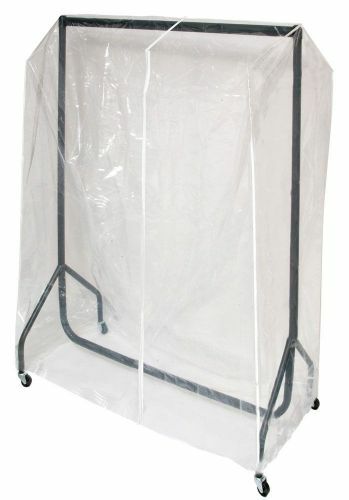 Introducing this transparent 3ft Clothes Rail Cover which fits over our 3ft chrome clothes rail. 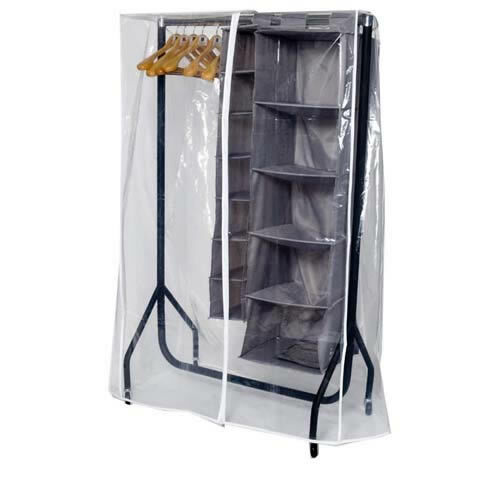 Designed to keep fluff and dust off your jackets and coats to protect your hung clothes. 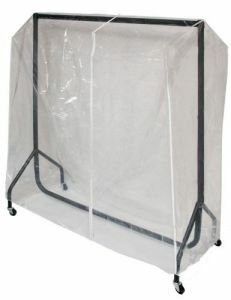 We now have Clothes rail covers for the 4ft, 5ft and 6ft Rails which are now stocked uniquely by Caraselle. Please note: item on offer is the 3ft clothes rail rail cover ONLY, and other products shown are for demonstration purposes only.